When producers deliver soy at the Saint-Urbain-Premier premises, a sample is analyzed to classify the product and determine if it meets Ceresco’s quality criteria. Before conditioning a particular soy variety, all the equipment is carefully cleaned to avoid any contamination from other varieties. Ceresco employees then proceed with conditioning the soy with great care to reject any non-compliant grain, foreign matter and inappropriate grain. 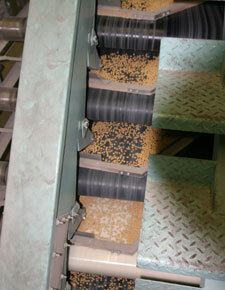 Capacity of 25 metric tons per hour – Used to reject pods, large foreign matter, dust and more than 60% of split grain. 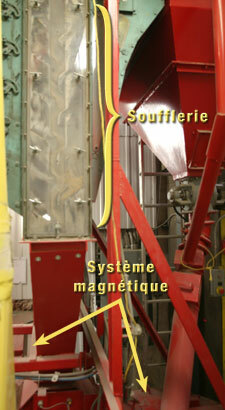 Two sizer-cleaners of 9-metric tons per hour capacity – Used to size soy grain and reject split grain (Total capacity 18 tonnes per hour). Three units of 6-metric tons per hour capacity – Used to reject imperfect grain, sclerotinia, foreign matter and split grain (Total capacity 18 tonnes per hour). One gravity tables of 15-metric tons per hour capacity – Used to reject overly light and cracked grain and very heavy materials such as stones (Total capacity 16 tonnes per hour). Capacity of 2 metric tons per hour – Used to reject small stones and ped soil and to process waste rejected by the gravity tables. 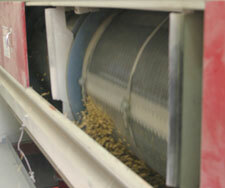 Soy grain uneven in terms of colour, whether stained, immature of dark-coloured or any foreign matter is rejected by one of the two operating sorters each with a capacity of 8.5 tons per hour. 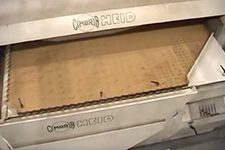 Capacity of 20 metric tons per hour – Used to reject dust and skin. Andy 200i is our first robot! 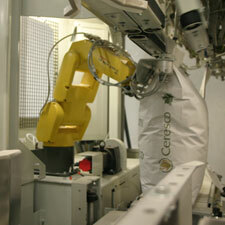 It is a completely robotic bagging system. Its mission is to ensure the quality and consistency of the bags produced. 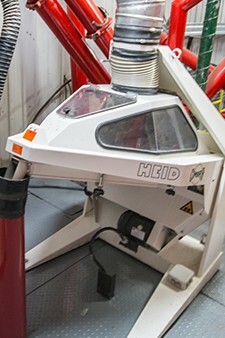 This advanced equipment can bag up to 17 bags per minute. Ceresco’s investments in new technologies help improve its quality standards, which were already very high. 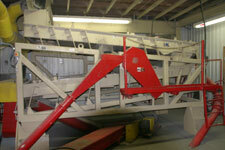 The new mechanized palletizing system provides a rate of up to 22 bags per minute. 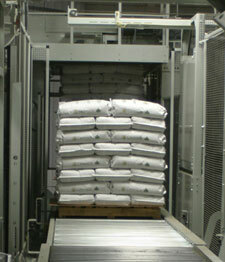 Although the default configuration allows stacking 8 rows of 5 bags, it can always be modified to meet your needs. 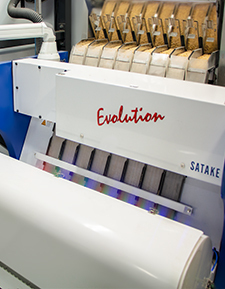 The installation of a cellophane wrapper is fully automated and it ensures obtaining uniform and clean bags.